We're taking a little blogging break to enjoy our little arrival... Maika Olivia Ting. P.S. 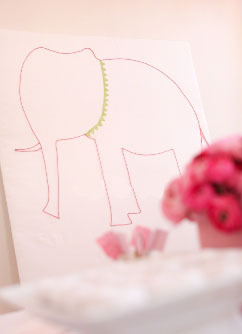 The giant elephant in the photo was part of our baby shower decor, made by the amazing girls at Joya Atelier and Stacy McCain. It now resides in the permanent collection in Maika's room. congratulations! and what a beautiful name :) xo!